Alcohol Content: 5.4% Alc. by Vol. 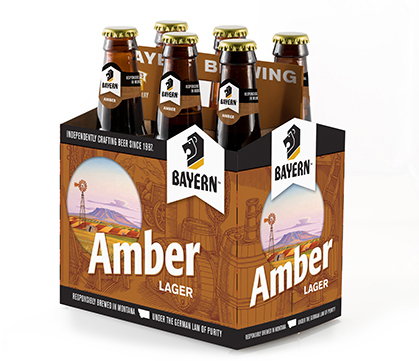 Bayern Amber is the beer that started it all in 1987. The beer that put Bayern on the map and had customers asking for more. This Marzen style beer has the rich malt flavor you look for in traditional German beers with a smooth balance of hops on the end. The customers quickly referred to it as “Amber Vision”. So get your beer goggles on with Bayern Amber Lager.